In the village of Nyack of the state of New York, someone had not disclosed that the house had been well known for haunting and poltergeist. It caused some significant issues for the buyer as they were not ok with owning a house that had been haunted, so they took the seller to court. The rumours of the hauntings came from the seller’s mouth and her family who all reported these events, some even ended up in the reader’s digest. Jeffrey (the buyer) had already entered a contract and put down a down payment on the house before knowing of these “Hauntings”. When Jeffery realised the folklore surrounding the house he filed a lawsuit for damages, fraudulent misrepresentation and for the contract to be terminated. Jeffery never showed up to the closing meaning he had to forfeit his down payment. This case was handled by the New York supreme court, and though officially called Sambovsky v Ackley it was eventually nicknamed “The Ghostbuster Ruling”. According to the judges, of course, the ruling was that the house “as a matter of law, the house is haunted”. Meaning for all legal purposes the house was haunted because the seller had been explaining to others and telling stories about how it was haunted. This, of course, seems silly as most people thinking hauntings are fake or just superstition. In the eyes of the law however no matter if it was fake or not the fact it was known for being haunted which was enough for it to be legally recognised as haunted. Failure to disclose this information was unjust, and the sellers were told from that point on they would have to reveal that the house was haunted if they genuinely wanted to resell the property. The rule was a more paranormal version of the law where if someone has died in the house within a certain amount of years you must let the new buyers know. Along with this Jeffery could get half of his deposit back and the contract was cancelled because of the court ruling. Nobody who has lived there since the case has reported anything supernatural and it was last sold in 2015 for $2.2 million. 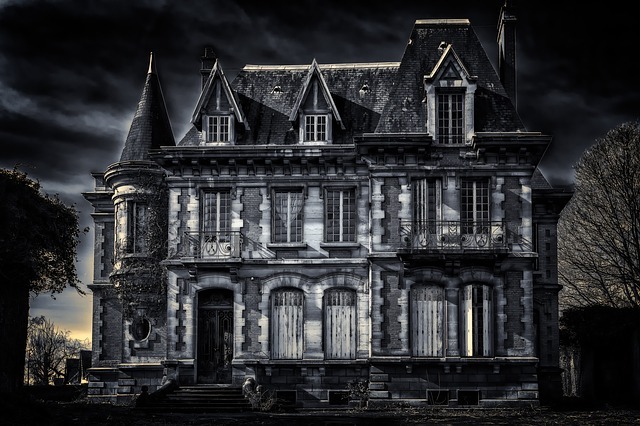 It doesn’t come as a surprise to many as apparently haunted houses are a very profitable business as some people buy them purely because they seek haunted properties or properties with an odd history.